Etzali is an Aztec magician who was originally a member of Return of the Winged One. He was sent into Academy City to monitor the growing Kamijou Faction. 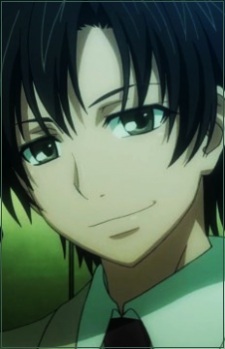 He is later defeated by Kamijou Touma himself, and later joins GROUP. Etzali usually takes the form of Unabara Mitsuki. His true form though is that of a young man with dark skin, and black wavy hair. Etzali was a member of the magical Aztec organization known as Return of the Winged One and was a senior to fellow member Xochitl. A month before August 31st, Etzali was sent to Academy City in order to judge if the growing Kamijou Faction was dangerous and if it would destroy the balance between the magic and science side. The radical actions of Kamijou Touma compel his organization to pit Etzali against the Kamijou Faction. His operation began when he was able to abduct Unabara Mitsuki and take his form, a week before August 31st, and set his sights on Mikoto, with the objective of taking her form and sowing distrust into Kamijou and his peers. Even though he has to follows orders he disclosed that he did in fact fall in love with Mikoto.